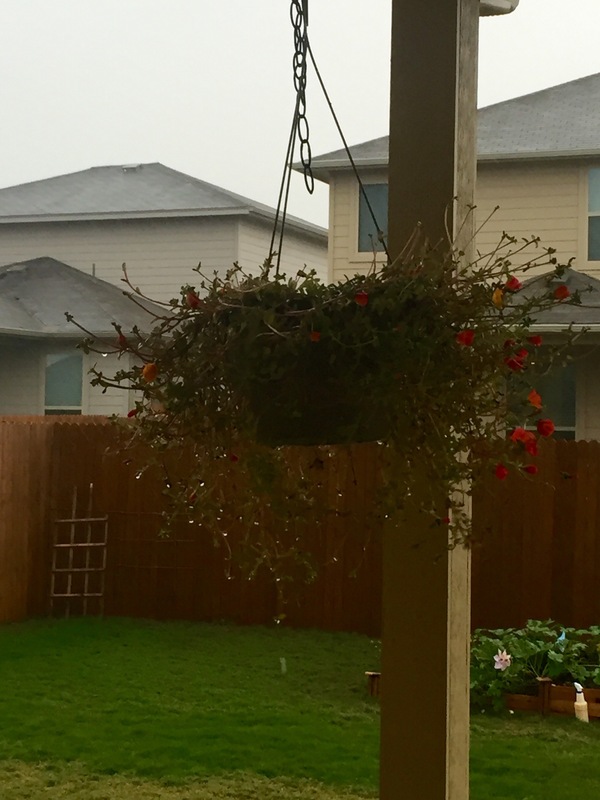 The rain, it’s just not letting up across central Texas. We are fortunate to say we only got about 4.5 inches today, a far cry from the 8-14 inches that fell less than an hour from here, closed the interstate, forced many evacuations just down the road in Austin and is responsible for at least one death and possibly several others. My coworkers and I sat in a room with no windows all day listening to thunder and the rain pounding on the roof. A walk to the nearest window showed us that a manmade creek near the building was overflowing its banks, and at least one picnic table was half buried in water. Fortunately, it didn’t come close to the building and receded within several hours. But the turbulent rapids was a reminder of what folks less than 10 miles south were going through. Only there, the water was trapping them in their houses, forcing roof rescues. Many of them went through the same just two years ago. Eerily enough, almost two years to the day exactly. And neighbors just a bit further south are still recovering from deadly Memorial Day weekend floods, only to be hit again today. 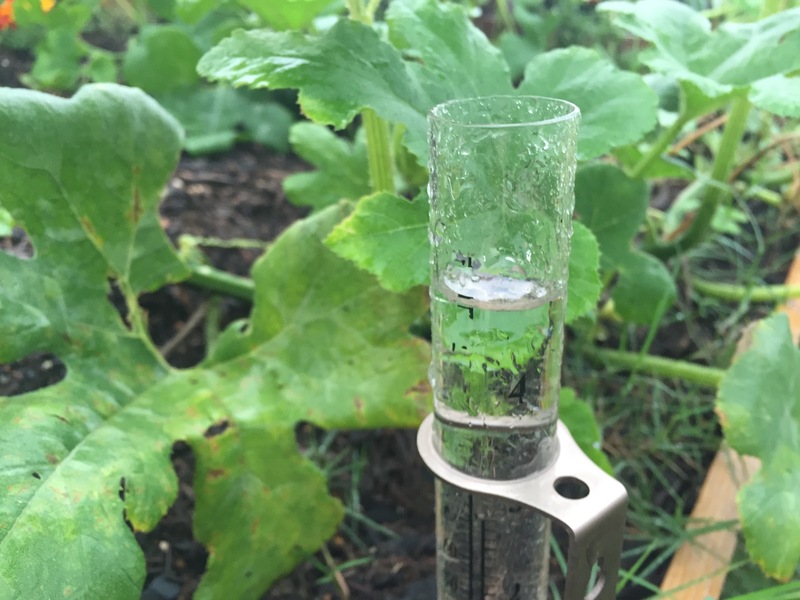 The 13-plus inches we’ve gotten in the past 10 days has come over long enough periods that it has only caused minimal standing water in our back yard, and so far, my pumpkins and fall tomatoes seem to be faring okay. A bit wind-whipped, but okay, I think. I think I need a new rain gauge though, because I can barely see any of the lines or numbers above 4 inches. Most of the time, that’s not a problem, but when you consistently get more than 4 inches at a crack, it is. It will be interesting to see what the weekend brings. More rain is expected tonight and early tomorrow, but it’s supposed to clear up before trick-or-treating begins. That would be nice. Mother Nature has had a lot of tricks up her sleeve lately. An evening of treats would be nice. Our creek became so full of water that it spilled over the weir…first time that we’ve seen in 9 years! All the water even beat the floods of Memorial Day. Pretty impressive. I guess we’re catching up for the rainless summer. I feel bad for the flooding it’s causing for some, but glad we’re not in that position.